How adorable does this look? Once again, the geniuses have created a very unique story that we haven't seen before. I'm excited for all the voice work and snark that seems to be laced in this film. 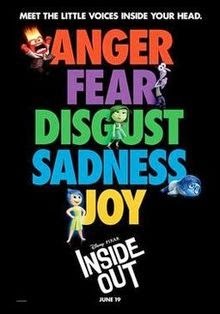 INSIDE OUT will be released June 19, 2015, is directed by Pete Docter, and stars Kaitlyn Dias, Amy Poehler, Lewis Black, Mandy Kaling, Bill Hader, and Diane Lane.